Internet advertising offers many advantages to small business owners. It's fast, cheap, and flexible. Businesses can use Internet ads to reach a select group or a mass audience quickly. Yet, online advertising has pitfalls. A company's Internet ad could infringe on someone else's rights, generating a lawsuit against the firm. The Internet can seem very informal compared to newspapers, magazines, and other traditional methods of advertising. 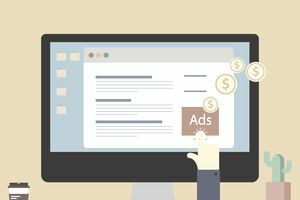 Given this seemingly relaxed atmosphere, you might think Internet ads don't have the liability risks associated with conventional advertising. This would be a fallacy. Online advertising can generate the same types of lawsuits as ads distributed through conventional media. Liability risks of online advertising generally fall into one of three categories: intentional torts, violations of fair trade laws, and infringement of intellectual property laws. Defamation means false statements made by one party that cause harm to another. It includes libel (written statements) and slander (verbal defamation). An ad you publish that contains untrue and disparaging remarks about another person, a company or a company's products can generate a lawsuit against your firm. For example, suppose that you operate a vegetarian restaurant. Your specialty is gourmet veggie burgers. You publish an online ad stating that your veggie burgers contain fresh vegetables, not sawdust like the burgers sold by the Delectable Diner down the street. In reality, the Delectable Diner's burgers are devoid of sawdust. The diner's owner sues your company for libel. Intrude into someone's private affairs. Use someone's name or likeness without his or her permission. Publicly reveal private information about a person. Publicly reveal information about a person that is misleading and that presents him or her in a false light. For example, Susan, a customer of yours, says your restaurant has the best veggie burgers in town. Because Susan considers you a friend, she confides that her husband has threatened to divorce her unless she pays more attention to her health. She says she's begun a new exercise program and is eating your veggie burgers to improve her diet. You create an online ad for your restaurant that includes Susan's name, photo, and her statements about her marital problems and her diet. Susan has not given you permission to use her personal information in your ad. Susan may sue your company for invasion of privacy. You could also be subject to a lawsuit if someone has created a unique method of advertising, and you use it without permission. For example, suppose you are looking for a creative way to advertise your restaurant. The Delectable Diner across town has a new online ad campaign that involves catchy phrases written on red and dark blue banners. You create an online ad for your restaurant that contains similar phrases written on pink and light blue banners. The Delectable Diner sues you for misappropriating its advertising idea. Intellectual property includes copyrights, patents, trademarks, service marks, trade dress and trade secrets. Federal law bars the use of this property without the permission of the creator. If you violate someone's intellectual property rights and are sued as a result, the suit is unlikely to be covered under your general liability policy. Intellectual property suits can be expensive, so you should be careful about using content that belongs to someone else. You may be subject to a lawsuit if you reproduce or use written content, symbols, pictures, etc. without the owner's consent. For example, suppose that you find a photograph you like on the Internet. You incorporate the photo into the menus you use at your restaurant. Unfortunately, the photograph is copyrighted, and you didn't get permission to use it from the copyright holder. The copyright holder may sue your company for copyright infringement. Your firm manufactures supplements. You publish an online ad claiming that your weight loss product, Fat-Be-Gone, contains 100% organic ingredients and will generate a 20-pound weight loss after 30 days of use. It also claims that the product has been endorsed by Dr. Bill Jones, a nationally renowned physician. None of these statements is true. Your firm provides tutoring services to high school students. You publish an online ad claiming that Ivy League universities accepted 75% of the students who completed your tutoring program. This statement is not true. Some claims arising out of online advertising may be covered by liability insurance. Claims against your firm that result from the intentional torts described above might be covered under Personal and Advertising Injury Liability. This coverage is automatically included in a general liability policy. While your acts would probably meet the definition of Personal and Advertising Injury, they might be subject to specific policy exclusions. For example, no coverage would be provided if you committed the acts with the intent to cause harm. Suits based on violations of intellectual property rights are excluded under Personal and Advertising Injury Coverage. The only exception is an infringement of someone else's copyright, trade dress or slogan that you commit via an advertisement. All other intellectual property violations are excluded. While intellectual property violations aren't explicitly excluded under Bodily Injury or Property Damage Liability (Coverage A), they aren't likely to be covered there either. To be insured under Coverage A, a claim or suit must involve bodily injury or property damage. Lawsuits based on intellectual property violations rarely involve allegations of bodily injury or property damage (as those terms are defined in the liability policy). If your business violates a federal fair trade law and the FTC imposes a penalty or injunction, your general liability policy won't cover the costs that result. Such violations aren't covered under Coverage A or Coverage B.